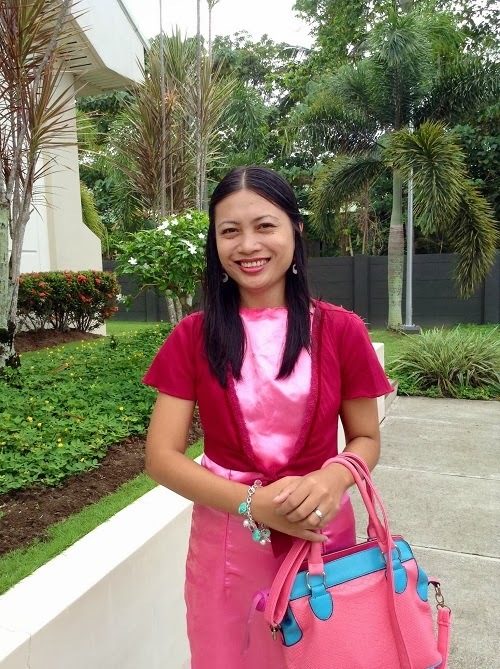 Every Sunday, I wear modest clothing pieces to attend church services. We believe in wearing simple clothes, usually knee-length dresses and chic matching separates. Some of my friends prefer printed dresses teamed with heels. Personally, I like lovely separates such as blouse and skirt combo that I usually pair with edgy boots or sky-high heels. Last Sunday, I wore a recycled frock. 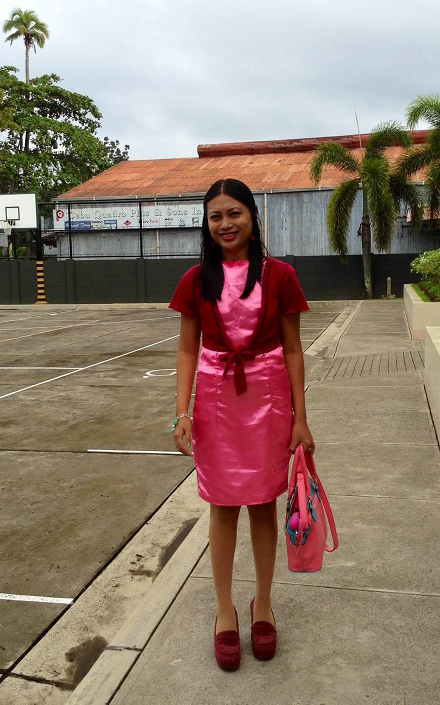 I like my light pink dress, which I wore last year for Christmas party. It has a mermaid-cut skirt but I trimmed it down to have a knee-length frock. This is the same dress that I wore for my sister-in-law's wedding and for the fashion show last September. For the church service, I decided to wear a red maroon blazer. It has a ribbon design for enticing detail. To complete the outfit, I donned a pair of Primadonna shoes and carried a blue-pink handbag. The blazer changed the formal wear to a Sunday's best item, perfect for the occasion. My earrings are from Broadway Gems.